Beef jerky is often relegated to a simple bar bite or a road trip snack. But the folks over at Three Jerks' have come up with a totally new way to treat their beef jerky with the mild and smokey Jerkarita. 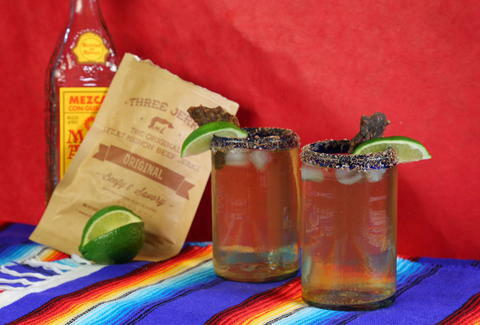 The margarita uses tequila, jerky-infused simple syrup, and jerky salt to line the rim. Don't forget the jerky garnish!